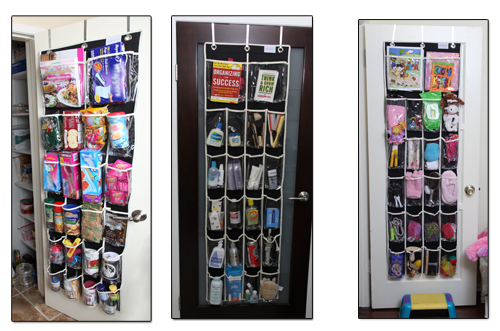 Stock-It-Pockets, the New & Improved over-the-door organizer. 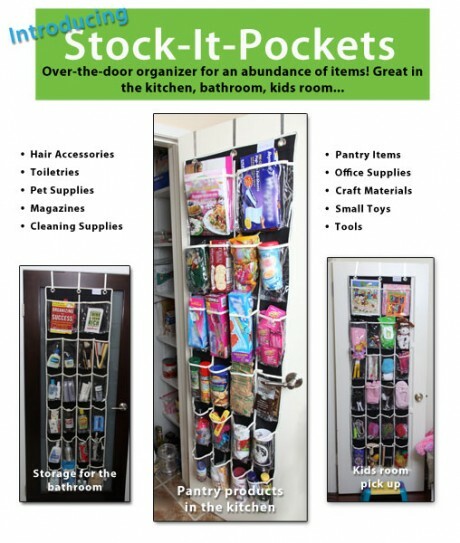 Stock-It-Pockets is one of the most versatile space savers and organizers on the market today. 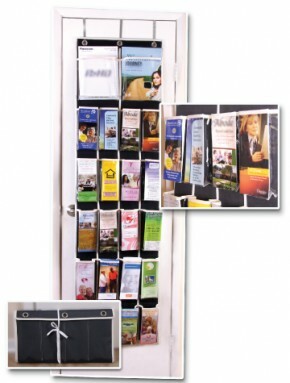 It is a see-through organizer that slips over the top of any door. What makes Stock-It-Pockets different from the other “over-the-door” organizers? Traveling? You can take it with you! Get the extra storage space you need on cruise ships, camping trips or even hotels. Stay organized when attending trade show or conventions.- Just fill it up with pamphlets, brochures or literature & then roll it up, tie it & go. Pockets4Pamphlets is an over-the-door organizer designed to keep pamphlets, brochures and other literature organized and accessible. 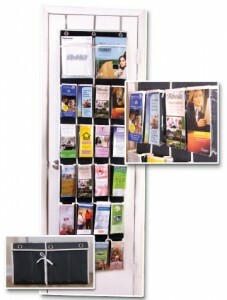 With Pockets4Pamphlets you will be able to see and access hundreds of pamphlets and brochures which have, until now, been piled in a storage room or are all over your office. 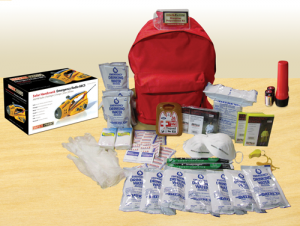 An excellent survival kit for when the unexpected happens! Bright red color, easy-to-use and understand products with directions for use. 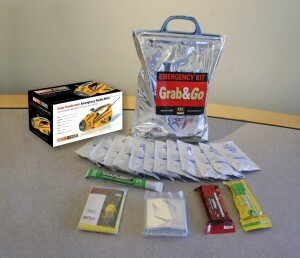 Recommended by the American Red Cross. 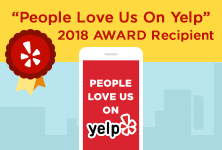 Keep one in the home, office, camper and/or car! Perfect for the closet, office drawer, car trunk, for family and friends – or as gifts. For wholesale pricing (25 units or more) call 310.560.5060 or email us.